Choosing furniture for your cafe, bar, or restaurant is no joke. There are many considerations to think about and many options to choose from. The last thing you want is to lose valuable time and money from making the wrong choices. To avoid this, finding the right furniture supplier is critical. Nextrend Furniture understands that hospitality furniture should help you achieve business goals, whether you need to boost traffic or squeeze more customers into a tight space. By creating inviting spaces for your business, you will not only entice new customers but also keep regulars coming back. Here’s how choosing furniture that works for you provides you with better ROI. Nothing is worse than having your furniture constantly repaired and replaced because of poor quality. This can wreak havoc on your productivity and profitability. 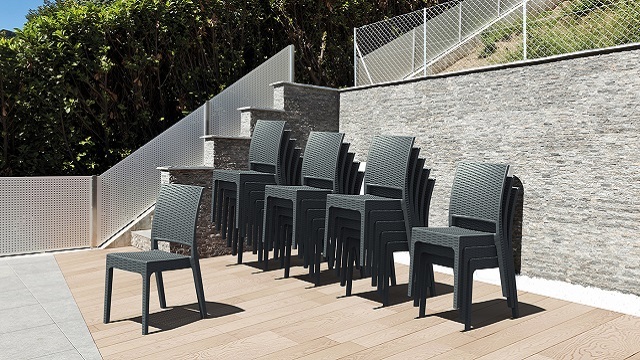 Eliminate waste, in terms of time and resources, by selecting furniture that are built to withstand heavy and constant usage as well as harsh Australian weather conditions. Nextrend’s tables and chairs are of superior quality and made from strong, safe, and durable materials, which eliminates the need for constant repairs and replacements. Our wide range of extra finishes and practical solutions, such as stackable furniture, easy cleaning,and liquid resistance, also extend your furniture’s lifespan and save you time, effort, and money. Downtime costs money and has a substantial impact on the profitability and cost efficiency of your business. Therefore, you need a reliable partner who can provide you with the products and services you need with minimum downtime. With Nextrend,you can easily request for quotes online and expect a response within 24 hours. Our large volumes of stock on hand keep lead times short and enable us to offer same day dispatch and free delivery to Brisbane, Sydney, and Melbourne. In the hospitality industry, all of these mean shorter down times, allowing you to remain fully operational all throughout your furniture upgrade or refurbishment. Choosing hospitality furniture can become complicated if you have to deal with several providers. 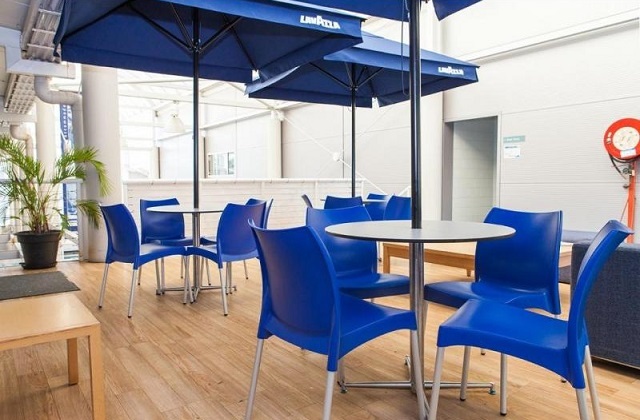 Nextrend eliminates the need for other suppliers by taking the complexity out of purchasing commercial furniture. By providing customers with everything they will need, Nextrend allows customers to focus their time and resources on their core business functions instead. We work closely with customers to provide guidance and advice throughout the whole process – from planning and design, to selection and ordering, delivery and assembly, and after-sales support – and work with you to meet deadlines and choose the best options. Choosing sustainable products will help your business provide a healthy and sustainable environment for your staff and your customers as well – all translating to a better non-monetary return on investment. Nextrend only selects furniture manufactured to strict quality procedures and adhere to environmental standards, such as the Good Environmental Choice Australia (GECA) standards. GECA-certified products are carefully tested to ensure that they are not only environmentally safe but also address their impacts on human health. With Nextrend, you’re sure to get the best quality furniture with the best value for money and better ROI. Call us now at 1300 559 965 to enquire about our furniture and get a free, no obligations quote.